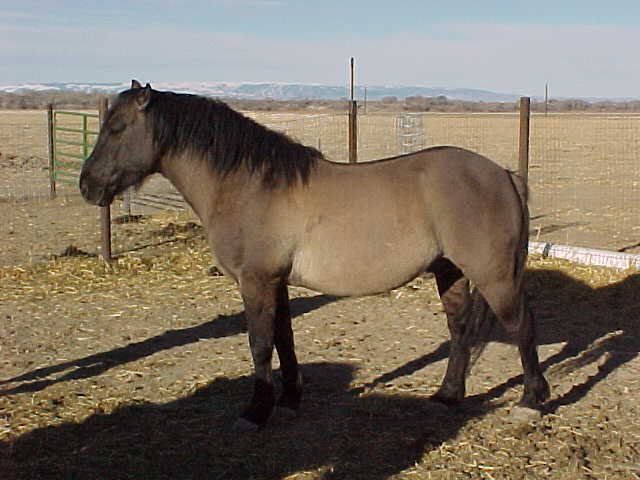 Pryor Mountain Mustang is a subtype of Mustang horses living in the Pryor Mountain Wild Horse Range that lie near Lovell, Wyoming and Billings, Montana in the US. 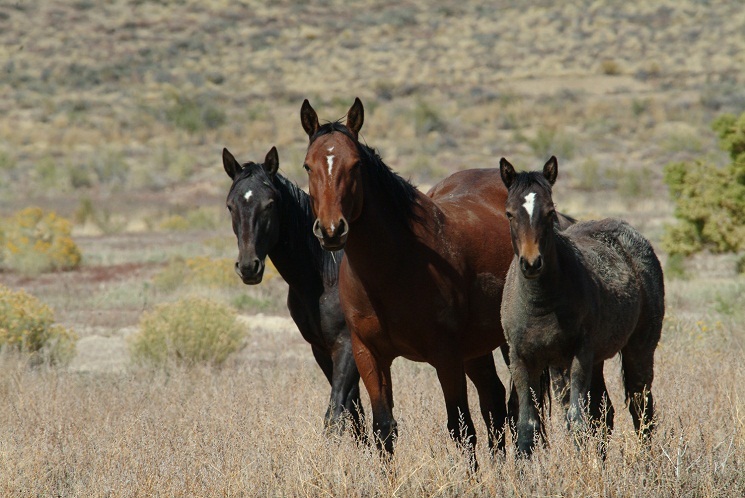 These wild horses are preserved by the WFRHBA (Wild and Free-Roaming Horses and Burros Act) while the BLM (Bureau of Land Management) has set their optimum number at 120. 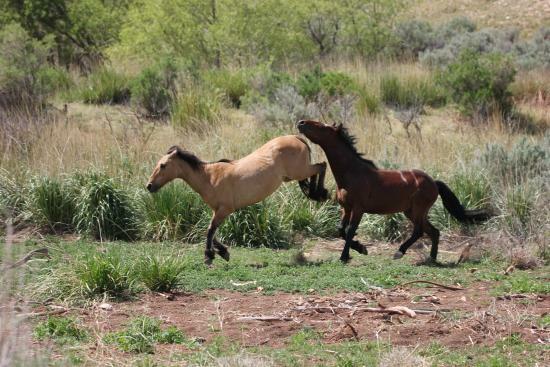 Some of these free-roaming horses have also been domesticated, exhibiting remarkable features such as strength, stamina, and sure-footedness. 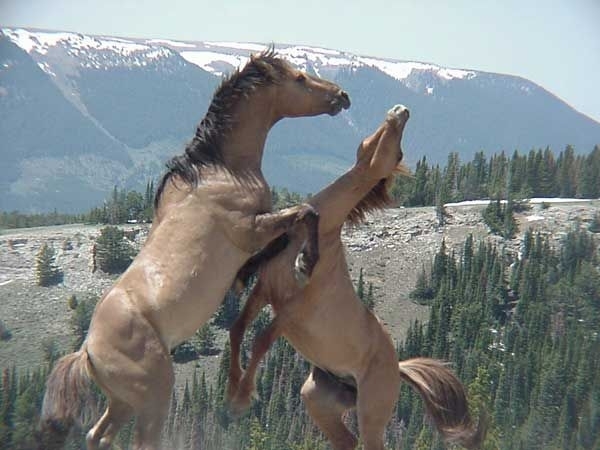 It is believed that the herds of wild horses have lived in the Pryor Mountain range since the late 17th century. Historical references of Native American tribesmen indicate that these horses were brought to the place during the 1720s. 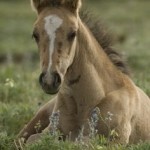 Hundreds of wild horses were possessed by the natives and the tribal people in the mid-18th century. 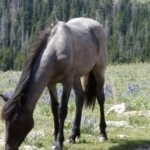 By the time the Pryor Mountains were inhabited by the pioneer settlers, the population of feral horses was more than a thousand. 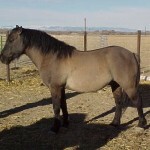 Up until the 1930s, domesticated stallions were added to the herd and allowed to breed with the mares producing specialized cavalry horses that served the military. 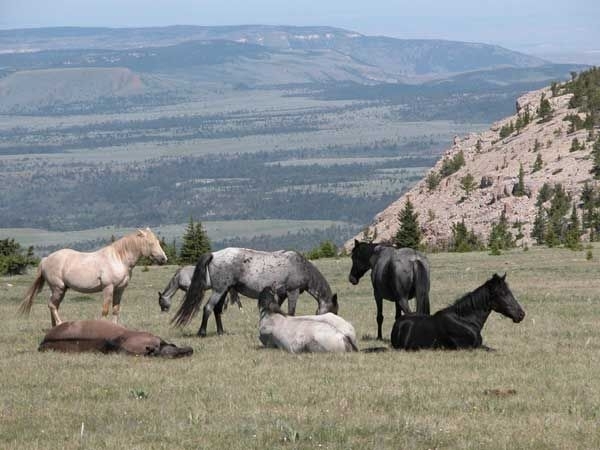 In 1934, the Taylor Grazing Act was approved allowing cattle to graze in the Pryor Mountain region. 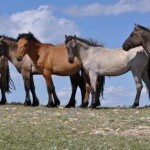 During the 1940s, the population of these horses was not protected by law. 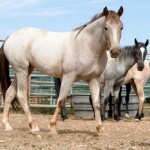 The loose and unbranded horses were often assembled and were either used for riding or sold to slaughter. 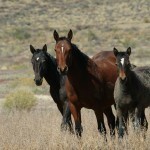 However, the Wild Horse Annie Act prohibited the use of automobiles and motor vehicles to chase and capture wild horses. 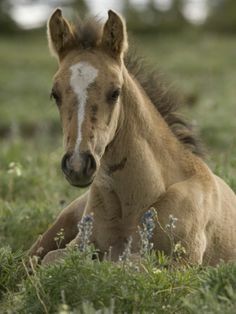 In 1964, the BLM declared that it would remove all the Pryor Mountain wild horses and disperse them through auctions, an initiative that spurred widespread public opposition. This temporarily delayed the movement against these horses. 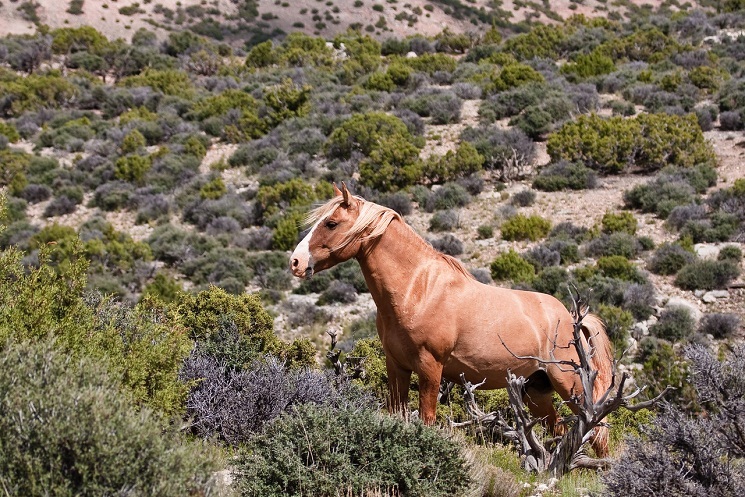 By 1968, these animals were mostly limited to the BLM lands due to the construction of fences and earlier roundups. 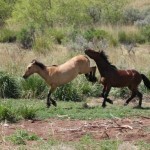 In the same year, the BLM again concentrated on removing the herd, but with a possibility of returning 15-35 horses to the range. 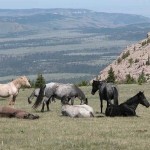 Concerned with the fate of these animals, the PMWHA (Pryor Mountain Wild Horse Association) was established. It worked with other organizations including the ISPA to prevent the roundup. 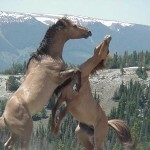 The tussle around the Pryor Mountain horses continued until the enactment of the WFRHBA in 1971. 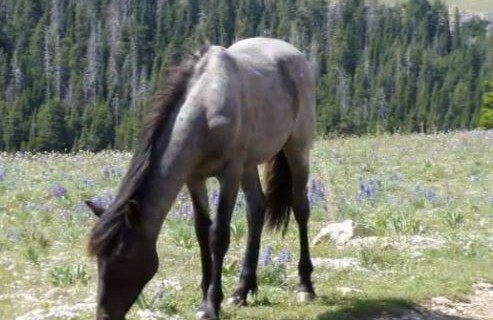 This Act prevented killing or harassing of wild burros and horses on federal land, needed the Agriculture and Interior departments to protect these animals, encouraged studies of their habits and habitats, as well as authorized public land for their use. 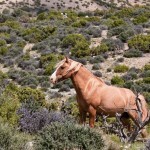 The Act was jointly administered by the US Forest Service and the BLM. 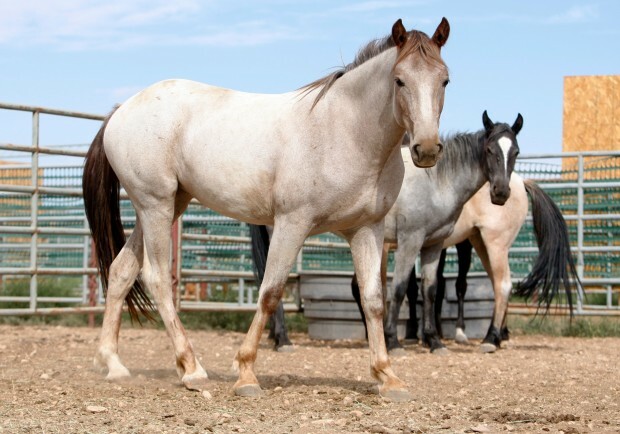 As revealed by genetic studies, the herd of Pryor Mustangs exhibits a great degree of diversity in its genetic characteristics. 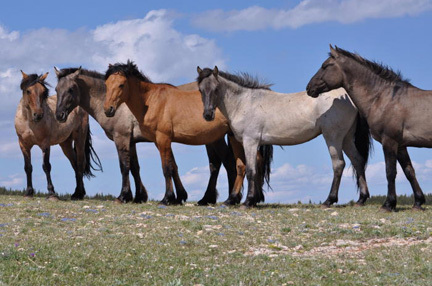 A documentary movie called “Cloud: Wild Stallion of the Rockies” as well as its sequel named “Cloud’s Legacy: The Wild Stallion Returns” is based on the Pryor Mountain Mustang herd.